It was during Prime Minister Abiy Ahmed’s visit to the United States in early August of this year that AG 7 and Ethiopian government officials met in Washington to discuss next steps of AG 7 after ending armed activity along the Ethio-Eritrean border and elsewhere in Ethiopia in recognition of new political atmosphere in Ethiopia that is said to be conducive for a peaceful struggle. And reintegrating demobilized rebel forces into the society was among agenda items during talk. Abiy Ahmed’s administration demonstrated effort to broaden democratic space in Ethiopia coupled with new foreign policy towards Eritrea which has ended the twenty years state of war between the two countries was helpful for the Ethiopian government to build trust in the opposition quarter to return home for a peaceful struggle. 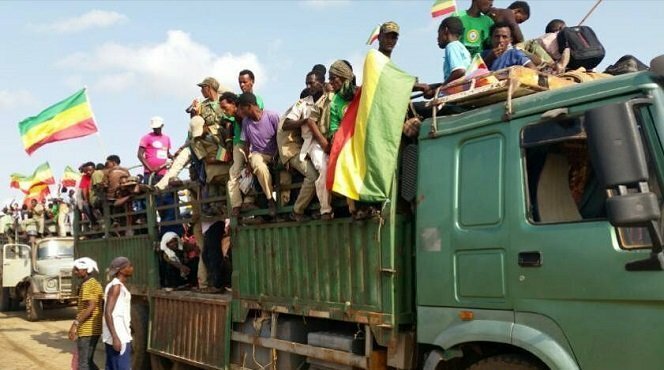 Earlier this week, the Ethiopian government unveiled a project within the office of the prime minister to facilitate demobilization and reintegration of rebel fighters of all armed opposition groups that have agreed to embark on a peaceful struggle from within the country. Apart from AG 7 rebel forces, Amhara Democratic Forces Movement, Ogaden National Liberation Front and Oromo Liberation Front forces will benefit from the project. Dr. Berhanu Nega and Ato Andargachew Tsige chiarman and secretary of Arbegnoch Ginbot 7 movement respectively are expected to return to Ethiopia some time before the Ethiopian New Year which is on September 11.